Shannon’s Custom Florals is a family owned, full-service wedding florist and event rental company serving Springfield, MO and Branson, MO for over 11 years, and also servicing Eureka Springs, AR. Shannon’s Custom Florals offer beautiful wedding bouquets and centerpieces. We can accommodate your entire wedding decor needs including table linens, canopies, chandeliers, draperies, and so much more. Our goal is to make your wedding day stress free with full delivery to the ceremony location as well as setup and removal of all floral decor. 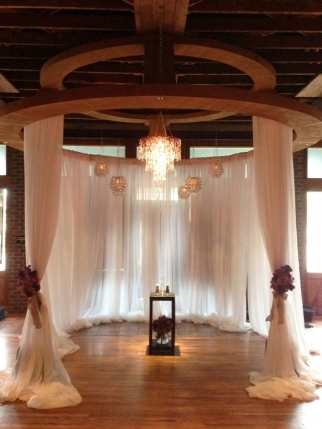 When you hire Shannon’s Custom Florals for your wedding you can be confident your expectations will be exceeded. Remember Shannon’s Custom Florals means “Wedding Flowers Springfield MO & Eureka Springs”. Join us on Facebook! Everyday we talk about new trends in floral arrangements answer questions or share success stories from our clients. We really do want to share our ideas and see you smile on your wedding day! If you would like, email us at our Shannon’s Custom Florals website to contact us with a question. Shannon’s Custom Florals is the premiere wedding florist of The Wedding Collection, Springfield, MO best wedding store. The Wedding Collection is a group of professional dedicated to making your wedding day a complete success! Perfection via professionalism and creativity ensures that your wedding will go off without a hitch. Every vendor at The Wedding Collection works diligently to make sure we are the best wedding shop in Springfield, MO. Bookmark this page for wedding flowers Springfield MO, wedding florist Eureka Springs AR, Wedding Bouquets, Wedding Arrangements Flowers Petals, Bridal Flowers, Men’s Flowers, Men’s Boutineers, Wedding Rentals Springfield MO, Wedding Rentals Eureka Springs AR.